A number of countries may amend their national GMO rules (eg. Brazil, Argentina, Australia, USA) to allow for these new techniques to bypass risk assessment procedures. We need everyone to stand up for a sustainable, safe and just food system. By signing this petition, you are letting policymakers around the world know that you want all genetic engineering to be assessed, regulated and labeled. New GMOs are still GMOs! US residents: we invite you to also sign Friends of the Earth’s US-specific petition and send it to the USDA and FDA! We urge policymakers to establish strong, mandatory and precautionary regulations for all genetically engineered organisms in order to protect the environment, farmers, and health. Current regulations are often too outdated to confront the new biotechnologies and have allowed for detrimental impacts on farmers, the public and the environment. Policymakers must act immediately to update regulations on products and processes of genetic engineering, including new gene editing techniques (like CRISPR) as well as synthetic biology. The reality of genetic engineering is shifting. Today a wider range of genetic engineering techniques are being applied to engineer living organisms and their products for a variety of purposes and products. In addition to the genetic engineering techniques first commercialized for use in food crops that were based on transgenics (transferring genes from one species to another or changing the genes of a species in ways that don’t occur in nature), more recent techniques include CRISPR-Cas9, TALENs, Zinc Finger Nucleases and Oligonucleotide Directed Mutagenesis. They also include cisgenesis and transgrafting, the application of RNA-interference (RNA-i) to silence genes, and synthetic biology approaches that may involve creating whole new DNA sequences. 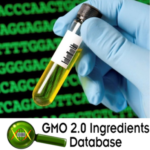 These are also genetic engineering techniques and they are being applied to food crops, animals, microbes, fungi and insects for use in agriculture, energy, industrial chemical production, food and consumer products with little or no premarket safety assessment, transparency or oversight from government agencies. Any deliberate, artificial manipulation that invades living cells for the purpose of altering its genome constitutes genetic engineering. All genetic engineering techniques should fall within the scope of governmental and intergovernmental regulatory oversight of genetic engineering and GMOs based on the precautionary principle. Policymakers and regulators must enact mandatory regulations to appropriately assess the risks, including social and economic impacts, of all genetically engineered organisms including those produced through gene editing and synthetic biology. They must act to ensure that farmers, the public and our environment are protected from those risks.